Pumpkin, pumpkin, and more pumpkin! 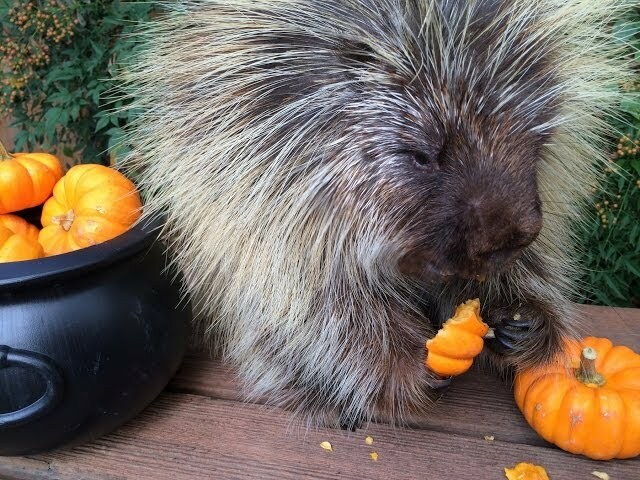 What respectable porcupine could resist this Halloween feast? Teddy Bear, the talking porcupine, sure can’t resist — he indulges! Listen carefully, as he’s talking with his mouth full.